The Washington Post published my review of Matthew Quirk’s new thriller Cold Barrel Zero. The novel is swiftly paced and with a few surprising twist throughout, but some disappointments along the way as well. An unsettling — and sadly familiar — image casts a long shadow over Matthew Quirk’s new novel: “a pile of bodies, many dozens, heaped like trash in a landfill — men, women, children, some 2 or 3 years old, all of them torn apart by gunfire.” A mass execution at a U.S. military base overseas has left hundreds dead, but the worst atrocity is that the attack seems to have come from a Special Operations group using the base for clandestine maneuvers. 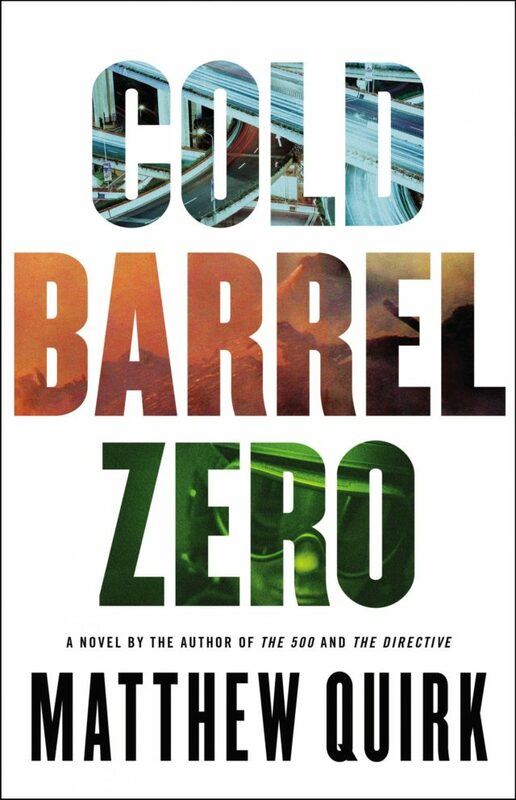 “Cold Barrel Zero,” Quirk’s third novel following “The Directive” (2014) and “The 500” (2012), is a relentlessly paced military thriller that begins in Los Angeles with the high-speed ambush of an armored truck, which may be carrying a weapon of mass destruction, and ends with a suicide bomber outside a private school in Washington (Sidwell Friends). In between, there’s a flurry of gunfights, a car chase, a boat attack and torture scenes vivid enough to make your skin curl.